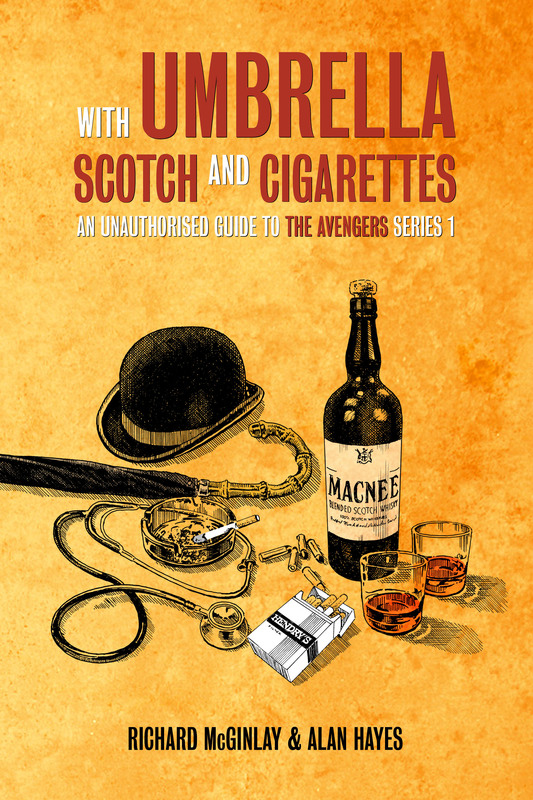 With Umbrella, Scotch and Cigarettes, the sister-book to The Strange Case of the Missing Episodes, has just been released – with co-authors Richard McGinlay and Alan Hayes telling the fascinating behind-the-scenes story of the mostly-missing series one of cult ’60s TV show The Avengers. 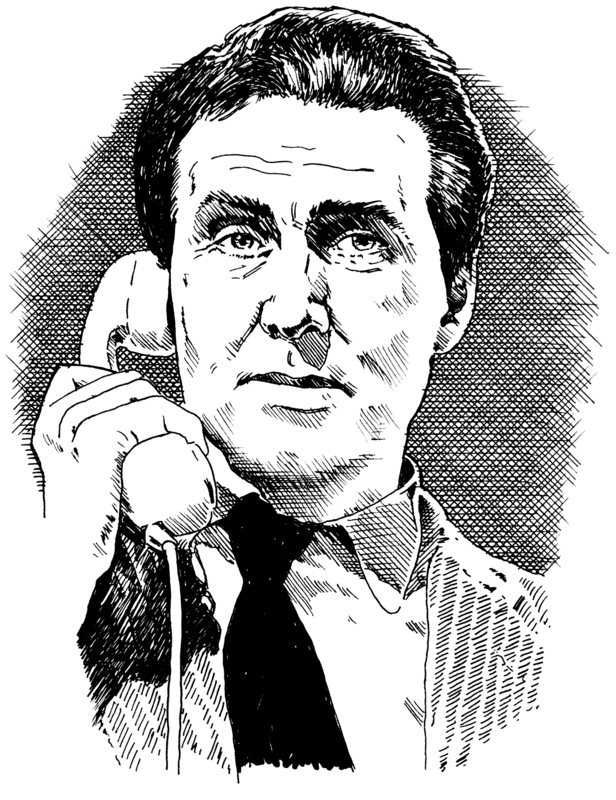 In this exclusive guest article, Richard explains why he and Alan (who also runs the The Avengers Declassified website) decided to don the trenchcoats once more and further investigate the monochrome crime-fighting adventures of Patrick Macnee’s mysterious secret agent John Steed and Ian Hendry’s Dr. David Keel. Well, yes, we have. 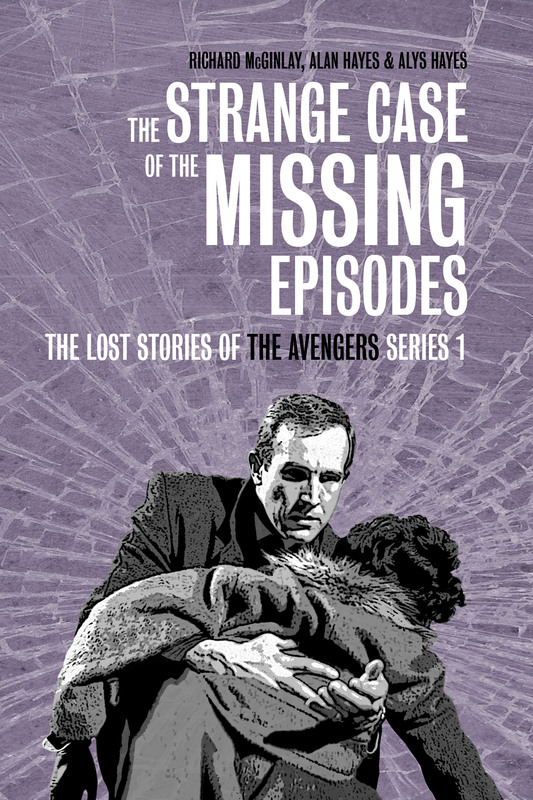 In 2013, Alan Hayes, his wife Alys, and I produced a book entitled The Strange Case of the Missing Episodes, which retold, in the form of detailed summaries, the lost stories from the first series of The Avengers. There were plenty of those to cram into the book, as 24 of the 26 episodes from that period of the show are missing or incomplete, presumed wiped. However, Alan and I had a lot more to say about this mostly missing year. Aside from a short introductory essay, Strange Case had barely scratched the surface of the real-life story of Series 1 – that is, its production. With Umbrella, Scotch and Cigarettes looks at the why, who, how and where of the Keel and Steed era of The Avengers. It examines why the show was commissioned in the first place, touching upon the cancellation of Ian Hendry’s previous series, Police Surgeon. It discusses who worked on The Avengers behind the scenes, including detailed biographical information about drama supervisor Sydney Newman, producer Leonard White, the directors, writers, actors, and many others. It describes how The Avengers was realised, from the earliest discussions of the show’s format and the gathering of scripts, to the design of sets and the creation of special effects. It also explores where the series was made, including a history of Teddington Studios and details about the locations used for exterior filming. It wasn’t an easy ride for the programme makers, and our new book documents all the difficulties of the process – from late scripts and contentious rewrites to rickety props and stunts that did not go quite according to plan – as well as the pleasures. Despite the problems, those involved with the series have all looked back upon it with affection. Alan and I had this book in mind even before the publication of The Strange Case of the Missing Episodes. Our initial plan was to produce a single book about Series 1, covering the storylines as well as the behind-the-scenes stuff. However, as soon as we started collating our researches, it became clear that there had to be two books. The total page count of the two volumes we have now published is close to 700 pages, and though it would have been possible to produce a book of that extent, it would not have been economical for us to do so. Therefore, we published the storylines book first… and now the ‘making of’ book. In case you are wondering why it has taken us a year to complete With Umbrella, Scotch and Cigarettes, there are a couple of reasons for that. Firstly, we wanted to see how the first book went down with its readers. As it happens, we have had a lot of very positive and useful feedback, which has helped us to make the second book even better! For example, reader comments inspired us to add illustrations, which were provided by the talented artist Shaqui Le Vesconte. The second and arguably the most important consideration is that we have been a lot more ambitious with the content of this book. As some of you will be aware, there is already a large body of work about the making of Series 1 on Alan’s website, The Avengers Declassified. However, we have built upon those researches substantially. Though of course our coverage of the individual episodes contains some fundamental facts that are common to both the book and the website, the episodic chapters of With Umbrella have been expanded considerably. Nowhere else can you read about the hazards of the sewer sets from Hunt the Man Down, for instance, or the Armchair Mystery Theatre and Callan teleplays that bear comparison to the episodes Death on the Slipway and Kill the King. About a third of the page count is wholly exclusive to the book, in the form of an in-depth essay at the front, covering the creation of The Avengers, another essay at the back, regarding the enforced hiatus that brought about a change of direction for the show after Series 1, and 60 pages of appendices, including full episode guides for the unmade storylines and licensed publications featuring Keel and Steed. The opening essay includes some impressive detective work by Alan regarding precisely where and when a set of famous ‘sleuthing shots’ of Ian Hendry and Patrick Macnee were taken. Alan has also contacted a number of people who were involved in making The Avengers (or the relatives of those who are sadly no longer with us), who have kindly helped us to fill in some of the blanks. We’ve also been out and about, visiting the British Film Institute, for example, in whose Special Collections reside the unproduced Keel storylines The White Rook and Fifi and the Scorpion. Yes, Alan and I had a very great deal to say about Series 1 of The Avengers, which is somewhat better represented in terms of production documentation than it is in the form of actual surviving episodes – but after this book, we are moving on to other subjects. The topic of our next volume will be of related interest, though, as it will cover the aforementioned Ian Hendry series Police Surgeon, of which only one episode is known to exist from its thirteen-week run back in 1960. Dr Hendry’s Casebook will be published some time next year. After that, we have some nebulous ideas for other books that should also appeal to readers of Wiped News! With Umbrella, Scotch and Cigarettes (£19,99 paperback/£24.99 hardback) and The Strange Case of the Missing Episodes (£19,99 paperback/£24.99 hardback/£2.99 ebook) are available in print exclusively from www.lulu.com, though from November 2014 they will also be for sale at Amazon sites worldwide. Until October 6, you can use the following discount codes togetger: ‘FWD15’ gets 15% off and ‘GMF14’ gives free shipping. ROD STEWART’S film archive has survived remarkably well compared to other artists, mostly thanks to infrequent television appearances. In fact with the exception of seven Top Of The Pops performances, everything of note broadcast in the UK from mid-1973 onwards survives intact. As for the sixties, all that has ever come to light has been poor quality footage of Steampacket at the 1965 Richmond Jazz Festival and what appears to be home movie footage of the Jeff Beck Group at the Fillmore East in New York dubbed with ‘Shapes Of Things’. Around a decade ago a short Swedish film of the Jeff Beck Group in the recording studio with Mickie Most and featuring great footage of ‘Plynth’ was discovered. And that’s it! Rod Stewart’s most significant sixties television appearance was a 30-minute documentary titled ‘An Easter With Rod’ (otherwise known as ‘Rod The Mod’), produced by Francis Megahy and Fred Burnley. 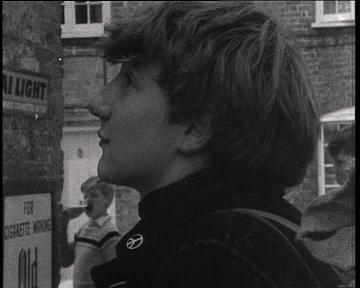 This was sold as “a portrait of a typical mod” and screened on 2 November 1965. There has never been any serious hope of finding this film which had been assumed to have been wiped. Last week that assumption changed when the BBC announced they had found this documentary at the British Film Institute (BFI) in “bits and pieces”. 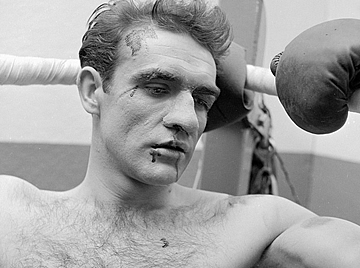 “There was a documentary, but maybe Rod has put pressure on for it to be destroyed. It was a show called ‘Rod The Mod’. It showed us travelling round all these places in a vile van we had which was a Bovril cattle van. I’d bought it for £40 and had it converted. Our heating device was actually a Kerosene Stove secured with ropes! ‘An Easter With Rod’ has been sought many times over the years by numerous writers of books and producers of television documentaries but no one ever managed to locate it. The most recent search was three years ago by Andy Neill, author of the excellent Faces biography ‘Had Me A Real Good Time’. Andy is a thorough and meticulous researcher and it was fair to assume that if he could not locate it, then it did not exist. The discovery of ‘An Easter With Rod’ is one of the most significant musical finds ever of swinging sixties London – not just for Rod Stewart fans, but as a visual documentation of the R&B scene that was emerging, the fashions and attitudes and for unique footage of London architecture that has long disappeared – most notably the newsagent’s run by Rod’s parents that he grew up above. David Bowie’s lost Top Of The Pops clip made the national news and was the subject of newspaper articles and huge interest on internet forums – and quite rightly too. Whereas, so far, the reaction to this equally significant find has been luke warm at best. On 9 July a BBC Rod Stewart documentary used around 10 minutes of footage out of the 30-minutes that was originally broadcast in 1965. The film deserves to be lovingly re-assembled and broadcast in full. This is musical history in the making featuring one of the biggest singers the World has ever seen. If, like me, you believe this important piece of musical and cultural social history deserves to be re-assembled and broadcast in full please join our campaign to make it happen. Please email the BBC in your own words telling them how much you enjoyed Tuesday’s documentary and how much you would like to see the full Rod The Mod sixties documentary in its entirety. And don’t settle for a standard reply! Today, it remains hugely popular, perhaps because of the schizophrenic nature of the show as it developed; it was a series of many colours, with something for everyone. 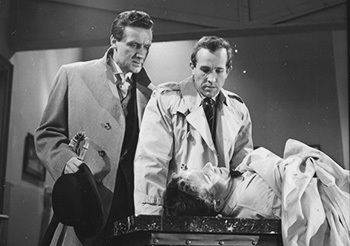 But the earliest episodes of the show – produce by ABC Television and pairing Ian Hendry as Dr David Keel alongside the mysterious John Steed (Patrick Macnee) – have, since their 1961 broadcast, disappeared from view, the vast majority of the recordings lost forever. Read an interview with authors Alan Hayes, Alys Hayes and Richard McGinlay about their fantastic new book. 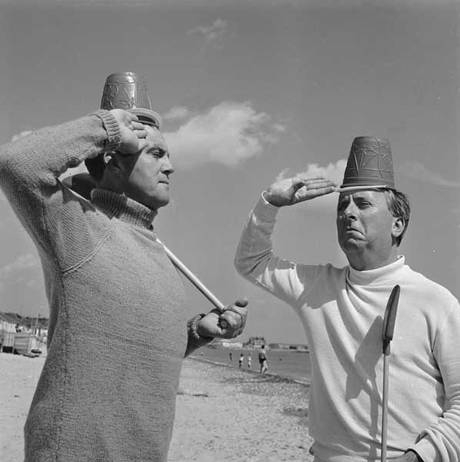 A LOST episode of Hugh and I Spy — featuring popular 1960s TV double-act Terry Scott and Hugh Lloyd — has been recovered by Kaleidoscope. The classic TV organisation joined forces with the Tim Disney Archive to buy the 16mm print of the episode, Tea or Coffin, from a collector on internet auction site eBay. The recovered show, broadcast by the BBC on February 26, 1968, is said to be in “superb” condition and is now the only episode that remains from the six-part series — a sequel to the popular Hugh and I sitcom, which ran from 1962 – 67. It will be shown at the BFI’s Missing Believed Wiped event later this year. In Hugh and I Spy, written by John Chapman and produced by David Croft, Terry and Hugh found themselves unwillingly involved in espionage and double-dealing. 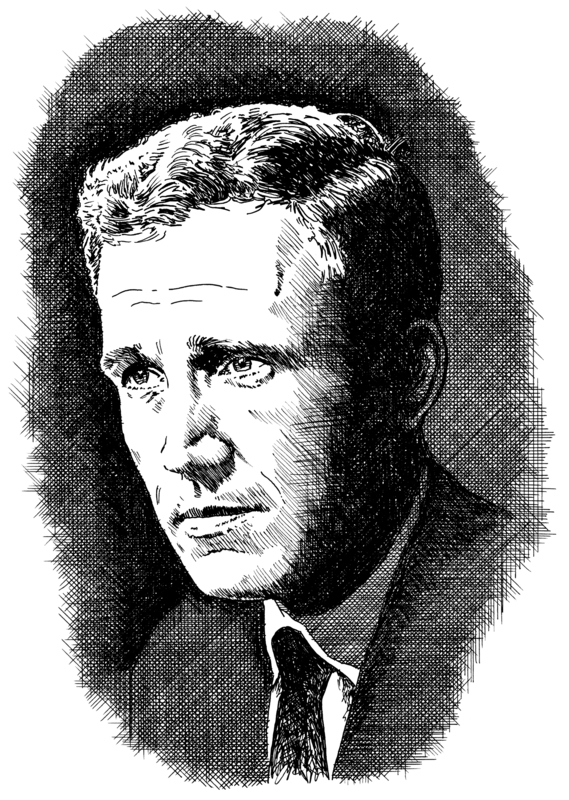 As befitting the spy genre, each episode ended in a cliffhanger. Tea or Coffin was the final episode of Hugh and I Spy and starred Fred Emney and Rex Garner (series regulars) plus Derek Sydney, Robert Gillespie, Jasmina Hamzavi, Francisca Tu, David Toguri, Roger Carey, Julie Mendez, Dino Shafeek, Rafiq Anwar, Paul Anil and John Louis Mansi.